Do your kids love gaming videos, but you’re worried about YouTube’s lacking policies? Tankee CEO & fellow parent Gerald Youngblood is here to help pick up the slack! Appolicious: How did Tankee get started? Gerald Youngblood: We started Tankee to solve a problem I was dealing with on a daily basis – I’m the dad of a 9-year-old; my son and I love gaming. We play games, watch gaming videos, and even go to gaming events. I also saw that my son, like so many other kids, saw gaming influencers as celebrities and wanted to watch their content online. However, there was no Nickelodeon for the influencer videos he and his friends loved. Based on these experiences and wanting to create a safe space for great kids content, my co-founder Dan and I started looking into how we could solve this problem for parents and kids. We saw an opportunity to make parents heroes by giving kids access to the content they love while keeping them from inappropriate content on the Internet. App: One of YouTube’s biggest problems is filtering content, and Tankee promises to review all the content featured on its website. That’s a big logistical headache, how does the Tankee team handle that? GY: We don’t see it as a headache at all. It’s an opportunity to curate and create amazing content for kids. Our goal is not to have 100 million videos posted every day. We want to find the best of the best and help families find quality entertainment for kids. When you look at the “quantity” and “quality” of content on Netflix and Hulu then you can see how sourcing and showcasing amazing videos can be achieved by real live humans. We are honored to make this happen for kids and parents who deserve all the time and energy our team can dedicate to this. App: Tankee also promises diverse original content from creators. What creatives are you working with? GY: The variety of content that can be produced around games is astounding. 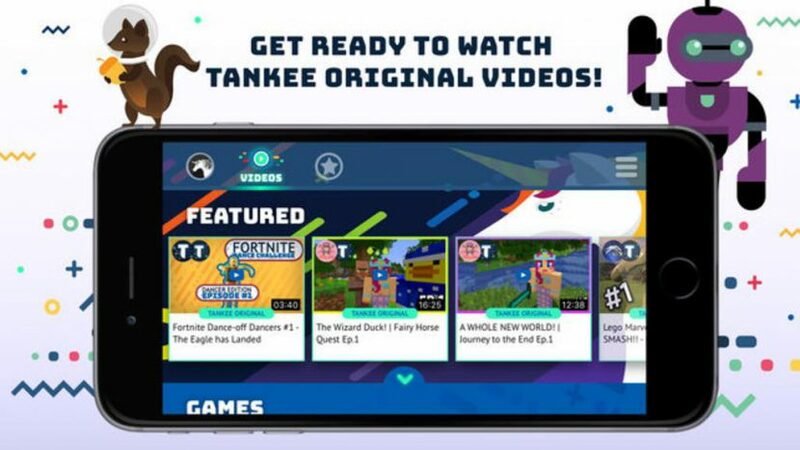 Tankee content can run the gamut from episodic series created in Minecraft to fun Let’s Play videos to Fortnite challenges. So far, we’ve announced original content from AmyLee33 and Speedy along with our own independent productions, but there’s much more to come. App: What can content creators expect from Tankee and, on the flipside, what can they provide for the platform? Is there an official submission process, or is it a pitch by pitch basis? GY: The artists we work with can expect to be treated like the talented creators they are and they can expect to be compensated for their work. We want to support a thriving community of family-friendly gamers so we’re constantly looking for great content that fits our guidelines and entertains our Tanksters, the kids who ultimately help us make the tough choices. We evaluate the existing work from content creators based on our internal scorecard and discussions with the team. We would love for content creators to reach out to us and the best way is to email us at [email protected]. 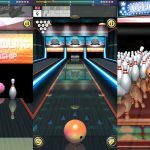 App: How does your past experience with eSports and social media drive the direction of Tankee? GY: My experience building esports partnerships at AMD transformed my life by showing me the nature of gaming. I saw The International, a Dota 2 event, being broadcast simultaneously in 7 languages, crowds connecting, amazing AR integration, and an online audience like I’ve never experienced. It showed me the power of streaming media and the connected nature of gaming. My experience in social media taught me how to connect directly to an end customer even at a Fortune 500 company. On that note, anyone can reach out to me at @GCYoungblood on Twitter or to the team at @TankeeGaming on Twitter or @TankeeInc on Facebook. Let’s connect! 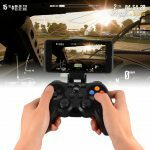 App: What features does Tankee offer parents who might not quite be as versed in the gaming world? What about parents who are into gaming? GY: Our main feature is that parents can trust all of the content on the platform to be family-friendly and kids can watch unattended instead of worrying about the next video or an inappropriate ad being targeted to a child. We also have a section on the app populated by our friends at SuperParent (www.superparent.com), which simply answers questions like ‘What is Minecraft?’ And ‘What do we love about the game?’ It helps to explain popular games like Minecraft and Roblox in simple language and allows you to watch videos from the game. 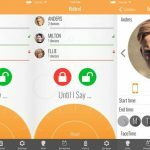 We also have parent-friendly features like the ability to set a time limit for the app. App: Why launch first as a mobile app? Will Tankee be coming to browsers and/or other platforms as well? GY: We want to meet kids where they live. Kids now have access to screens everywhere and the dominate screens are tablets and phones, so that’s where we started. We will absolutely expand our offering to other platforms like TVs, but we thought we should build the next great kids brand to be mobile-first. App: What are the guiding principles of Tankee? GY: At Tankee, our mission is simple. Be heroes with and for children everywhere. Heroes aren’t perfect, but they try to make a positive impact with all their might. It’s also critical that we do that with children. We believe that children should be heard, so we don’t assume we know everything they need. Children drove the name of the company, the logo, the content we’ve focused on and they have so much to offer, and we took the time to listen. App: What advice do you have for other platforms that hope to follow in your footsteps and make it safer for kids who are fans of online gaming? GY: Kids are not a “hot market”. They are the future of civilization so treat them like the precious gifts they are. Gaming is also not “the problem” with everyone playing in windowless basements. Gaming is one of the most amazing explorations of art and science, so there’s an opportunity to be creative in a healthy way. App: Who are some of the gaming personalities kids can find on Tankee right now? GY: Our roster Tankee Gamers includes huge stars like Thinknoodles, UnspeakableGaming, AmyLee33, AbdallahSmash, Bigbst4tz2, ThnxCya, JeromeASF and up-and-coming talents like Speedy and NyteOwl among others. We can’t wait to continue adding more artists to Tankee!